First things first, I would like to say thank you for the creator of this vulnerable VM. It was so much fun for me. I apologize for not being word-perfect in English, I am not native English speaker. Below is the information from the creator. Our main purpose is to restore website as well as collect 5 flags to claim the full pwned of VM. Unfortunately, the site just went down and the only person with admin credentials is Tom Callahan Sr. &#8211; who just passed away! And to make matters worse, the only other guy with knowledge of the server just quit! let’s start with nmap to see is there have any service available for me to attack. As a result of nmap’s, we’ve got the fist flag already. I’ve checked on each other items that list in disallowed items in robots.txt but nothing interest found. 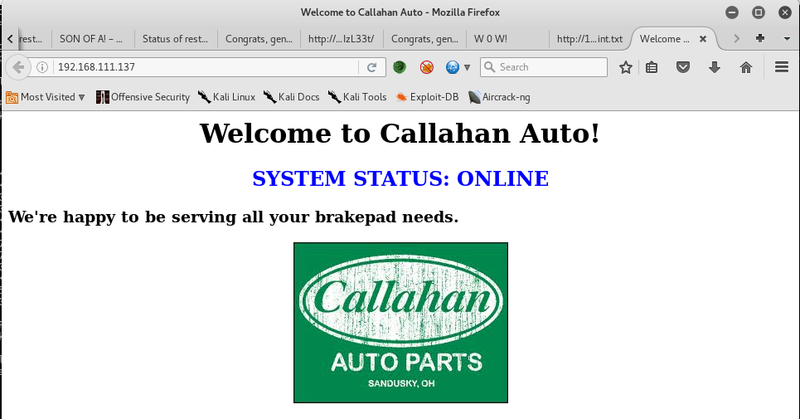 Callahan Auto’s webpage on TCP/80. Another secret webpage on TCP/8008. I also run Nikto against both web services on TCP/80 and TCP/8008. 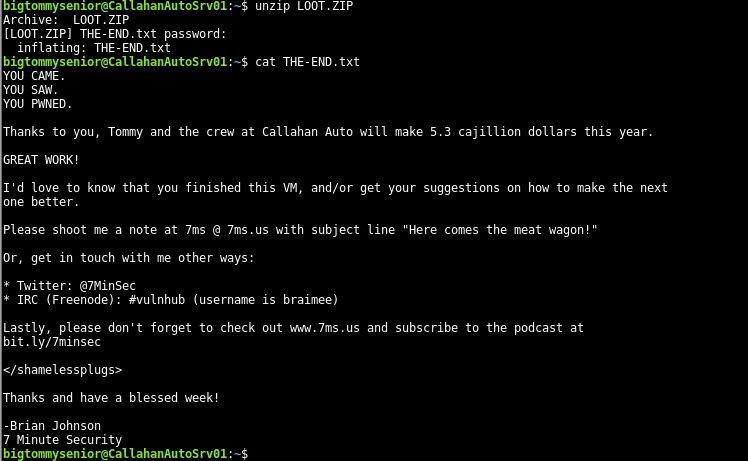 By view page source of Callahan Auto’s webpage on TCP/80. I found an information in the html comment section which is about where is the URL of company’s blog. A hint is about this video so I tried to access to the company’s blog with randomly URI from the name of video and I found one URI work! that is “prehistoricforest” The company’s blog is running by WordPress. It’s time to launch wpscan against company’s blog to check for any vulnerable theme or plugin also enumerate for all of available usernames. It not that much information for me, Akismet should be a fault-positive? I don’t know but I got a list of usernames and I don’t know where to go next. I decided to brute-force Big Tom’s WordPress account with rockyou dictionary, it work! 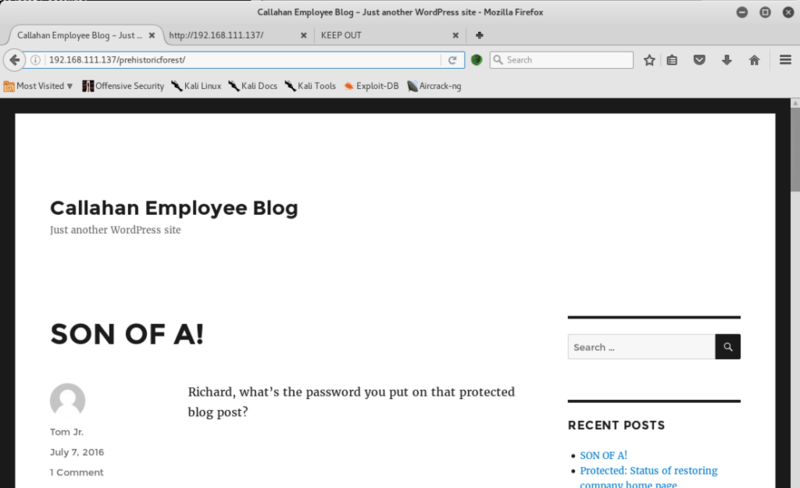 I am now accessible to company’s blog with Big Tom’s credential but the problem is Big Tom’s account is not a member of WordPress administrator. Follow it to check inside Richard’s directory, I found only 1 picture in it. 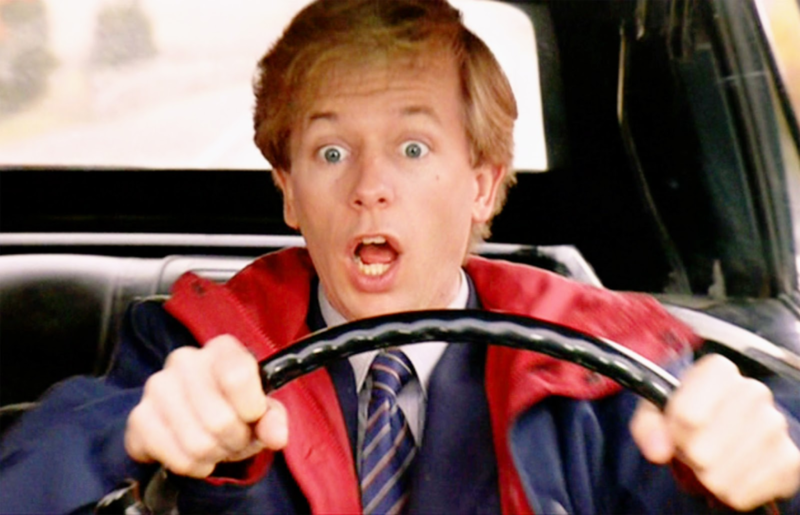 This is what shockedrichard.jpg looks like. Yes! shocked me as well. How can I get the password from this picture? I hope it not a steganography. Lucky on me, I’ve some basic forensic skill. EXIF should be the answer! 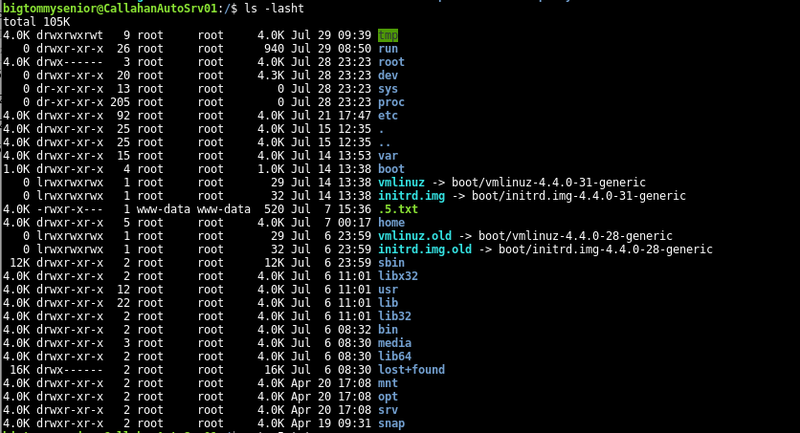 I use exif tool in Kali to extract whatever metadata information stored in this picture. Take a carefully look at the “User Comment” section, is it a md5 hash? Let’s try with duckduckgo instead of cracking this md5 string by myself and waste a time. what ever result from duckduckgo should be a password to see protected post, thought? The password for protected post is “spanky” so now I am able to access to the password protected post to go on. This protected post contain several important information. we have to complete #1 under Big Tom’s account only but Big Tom’s always forget his credential as we can see in previously Big Tom save his second part of SSH credential in draft blog post. 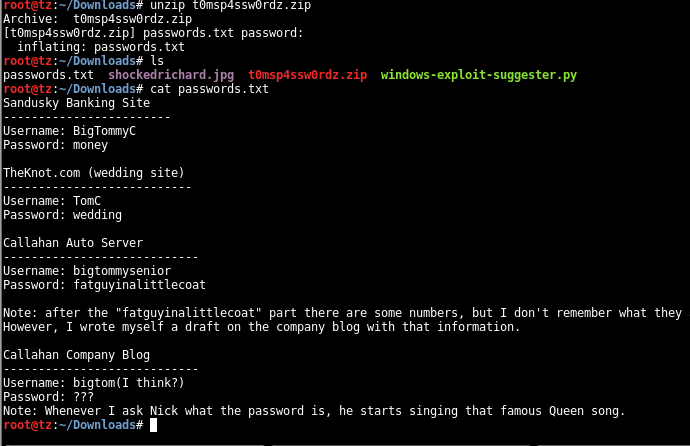 Nick’s just reset his FTP account name “nickburns” with easy to guess password and he deleted his SSH account already. 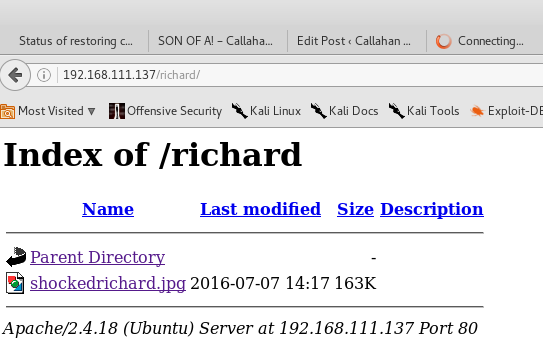 Let try attack Nick’s FTP server. His FTP server listening on TCP/65534. 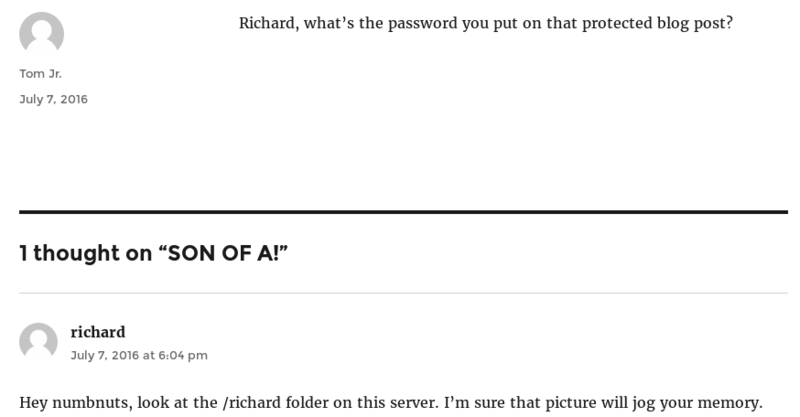 I wait until FTP server online and Nick mentioned about password “it easy to guess”, The password is same as his username. Nick’s FTP server has only one text file called readme.txt so I downloaded it to follow up. TL;DR 1. There is a subfolder called NickIzL33t on this server and Nick used it as his personal dropbox. 2. Nick has created an encrypted zip file to store Big’s Tom credentials. 3. 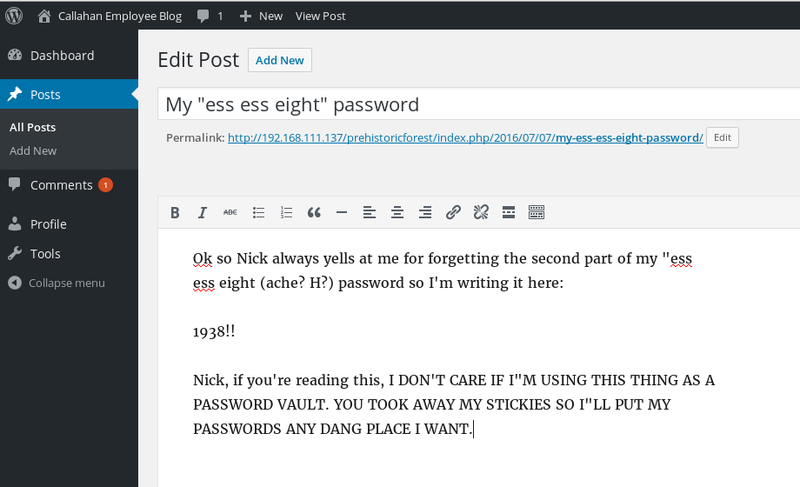 Nick created a hint for a password to extract an encrypted zip file. I found Nick’s dropbox under another virtual host on this server listening on TCP/8008 but as always! it has some security setup. The hint says that only Nick and Steve Jobs can see the content so I tried to change user-agent to iPhone. Now I am able to access his private dropbox but it just a dummy test! It has another level for a protection. I need to find the exact html file name to access the real dropbox URL. I’ve run dirbuster with modified user-agent against it to find out what is the exact page. I’ve tried all of default dirbuster’s dictionary but no luck so I tried with rockyou dictionary and this time it work! From the information above we have a several items to follow up. THREE OF 5 FLAGS &#8211; you&#8217;re awesome sauce. Then crack it with fcrackzip. Password found, let’s try extract encrypted Big Tom’s password backup file. Now I got the first part of Big Tom’s SSH credential and I already got the second part of his credential from his draft in company’s blog post so his SSH credential should be. 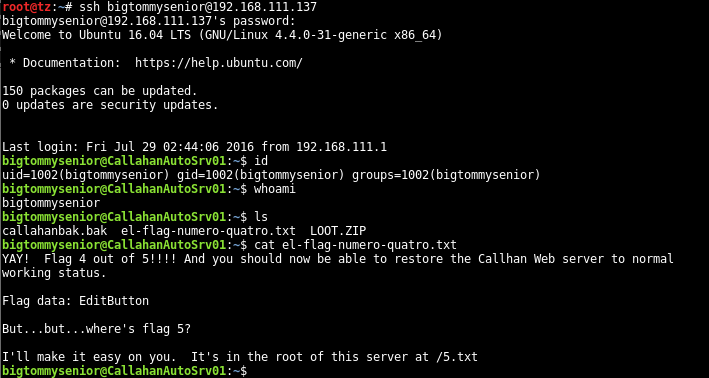 By accessing to Big Tom’s SSH account I got the fourth flag as well as the location of fifth flag. there also a protected zip file called LOOT.ZIP and the backup file for website. 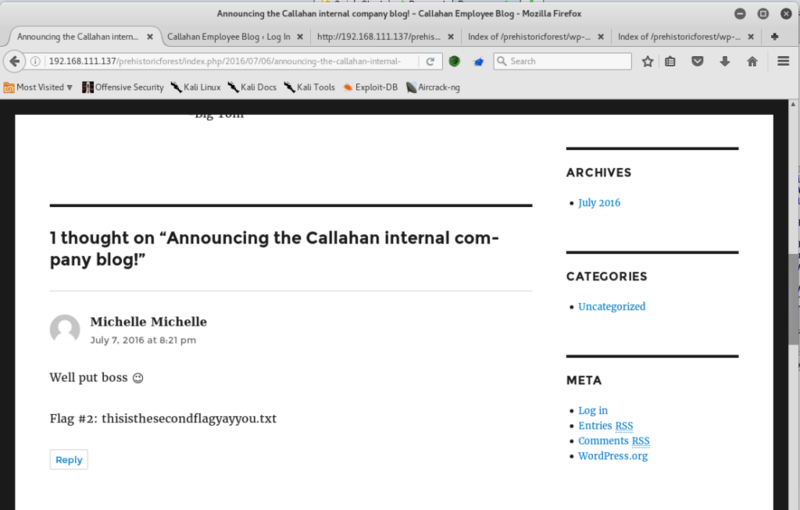 Now I should restore Callahan Auto’s website, This is the main objective so I’ll do it first. The last item to follow up is capture the last flag! I’ve tried A LOT of privilege escalation technic but this a brand new Ubuntu box there’s no local privilege escalation exploit available yet but for 0day IDK. I’ve checked their wp-config to obtain MySQL credential. I have a quick reviewed in the databases to see if there has another thing for me to get the last flag or not but it seem I’ve already completed with website part. no information for me this time. One little idea came up to my mind, if file /5.txt has other permission configured instead of root:root or other special permission, so let check it up. hmmmm well “www-data” is the owner of /.5.txt!! I don’t need to be a root to access to this file anymore, I need to compromise this web-server to get a shell running by this web-server service account(www-data). 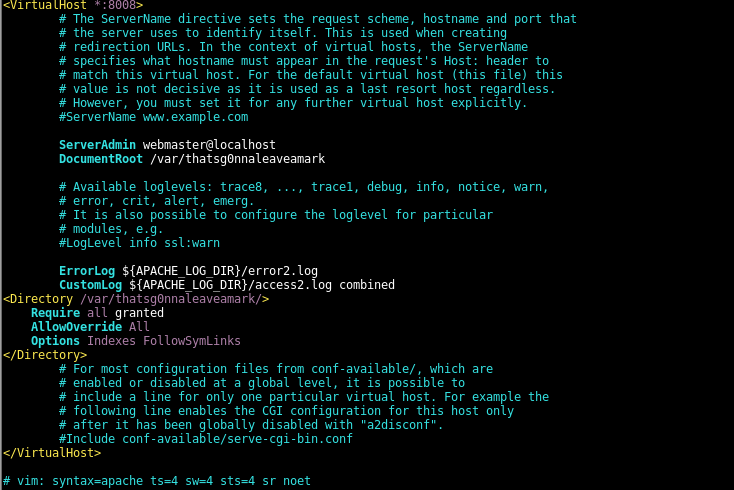 The backend of this web-server is Apache and I am very familiar with this kind of service configuration due to my primary job. I checked all apache configurations and found the exact location of Nick’s dropbox document root. I went to Nick’s dropbox document root to see is there have any other item I missed or not? I also found there is a vulnerable upload page in it. This should be a page for Nick to upload his private stuff. I am not a programmer but I can write some basic PHP, Bash and Python script. With my little knowledge to reviewing this upload page source code this such a vulnerable upload page because it checks only extension of uploading file, not for the exactly file type. I use Burp Suite to edit data in uploading process of a php revere-shell file while I am listening for a connection from php reverse shell on my Kali box. There are no issues about this at all, everything working as expected. I got the last flag. As you can remember there is encrypted file called “LOOT.ZIP” in Big Tom’s home directory. let put all flags data together to extract it.